Thorntown Town Center Family Dental is committed to making sure that all of our patients receive the best quality of care as possible. Emergencies do often arise, and they can be quite scary at the time, especially if you do not know how to handle them. Fortunately, the experts at Thorntown Town Center Family Dental are here for you. We treat our patients as fairly as possible. No matter the emergency you are experiencing, whether orthodontic in nature or not, let us know. You can call our office TODAY and we will work hard to see you the same day. If you have broken wires, brackets, or appliance, you should call our office before you head in. We want to make sure that you can come in, receive the care you need, and head home with a minimal wait. We will make sure that we schedule you enough time to have your appliance fixed while you are here. You will not have to drop off the appliance and return another day. We do ask that you stick to your appointment times though and you do not arrive late as we do have other patients who need to be seen as well. We may need to reschedule your appointment should you arrive late to make sure that there is enough time to fix the appliance. Our extra appointments are scheduled before 5:00 pm, this way, there is enough time to have the appliance looked at and fixed. If you have braces or a retainer and a wire piece is broken or poking at your mouth, call our office. You are a priority to us and we do not want you to be in pain. The types of repairs needed to eliminate the poking piece are easy and done in minutes. Simply call us and let us know what is going on. If you find that you are experiencing an issue and our office is closed for the day, please listen to our recording as we do offer emergency services after hours. You will be provided with a phone number to call to receive care. Below, we will discuss some of the emergency orthodontic problems that may arise and what you can do to correct the situation. If you ever have any questions, do not hesitate to call our office and ask. Poking Wire – If you have a poking wire and it is bothering you, you should take a pencil eraser or Q-tip and push the wire back into place. If you cannot do that, then you should take a piece of dental wax and place it at the end of the wire. Loose Bands or Brackets – A loose bracket or band can often be left alone until you come into our Thornton office to receive treatment. With that said, if you have any issues with the brackets or bands, you should call us immediately. You do not want to try to move or adjust the brackets or wires on your own, as they may become damaged or fall off. Loose Wire – If you have a loose wire, you can take a pair of tweezers and try to move the wire back into its original position. If this does not work, you should place a piece of dental wax at the end of the wire. You should never cut off or clip the wire, as this can be a serious hazard, especially if the piece gets caught in the back of your throat. Headgear Won’t Fit Right – If you have headgear, it is important that it fits right to make sure that it works and does what it is supposed to. You should always wear the gear the way you are shown and follow the instructions provided to you by our team of dentists. If you cannot get the gear to fit properly, then you should consult with one of our dentists right away. 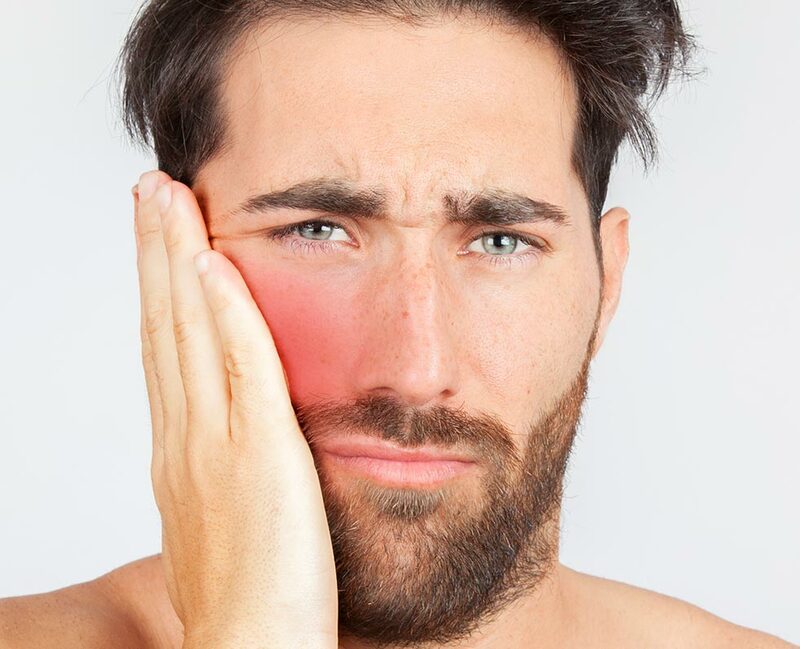 Loose Appliance – If you have an appliance that is loose or poking you, you should remove the appliance from your mouth and place a piece of dental wax over the area that is becoming sore or irritated. Athletics – If you play sports, it is vital that you make sure you always have a protective mouthguard in your mouth when you engage in the physical activity. The mouthguard will help to protect against direct hits to the mouth and prevent serious injuries from occurring. If you are under any type of orthodontic care and you are injured, you should apply ice to the area and call our office immediately. Soreness – Soreness can occur when you first have braces placed on your teeth. You may find that when you open your mouth, bite, talk, or chew, there is pain, and this is normal. It will last for about 3 to 5 days. If the pain is severe, you can take an over the counter pain reliever to help. You may also experience soreness in your tongue, cheek, and gums for up to two weeks. Our dentists recommend that you apply wax to your braces to help alleviate some of the pain. If you have an orthodontic emergency or you are concerned about your dental appliance or treatment, call Thorntown Town Center Family Dental today. Our dentists will work with you to look over your mouth and ensure that there are no issues. If any issues are detected, we can treat them immediately. Call now to book your appointment in our beautiful Thornton, CO office.